Wave your paddles in the air like you just don’t care! 354 Phillips Hill Road is going up for auction! 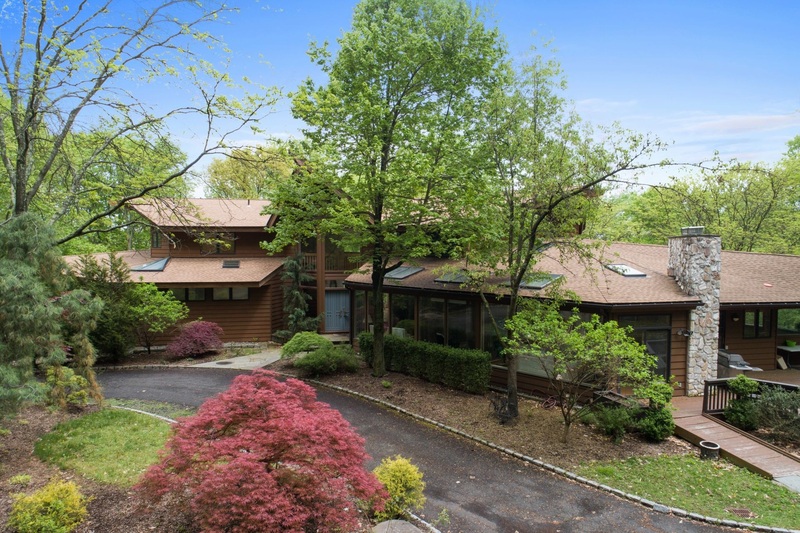 Nestled in a wooded enclave of New City, NY is this Mid-Century Masterpiece that only a privileged few could dream of owning. Conceived by renowned architect, Roy Sigvard Johnson, a disciple of Frank Lloyd Wright. Rising like a graceful bird in flight from it 2.2-acre perch, this breathtaking contemporary perfectly melds nature with extraordinary craftsmanship. This home invokes a Hollywood feel where you and your family have an opportunity to create your own lifetime productions here. It offers a Wine Cellar, Yoga Studio, Family Room, Game Room, Gym and a 5 Car Garage. This 6 Bedroom home with 5 Baths, 2 Powder Rooms, A Media Room, a sumptuous Chef’s Kitchen and 5 stone fireplaces must be seen to appreciate all the amenities. It offers spectacular space for entertaining, yet, retains the warmth of a family home. Encircled by multi-leveled terraces, it features a gorgeous outdoor stone fireplace, a full sports court, and a hot tub. The preview open house will take place on September 9th, 2018 from 1:00-3: 00 pm and the sealed bid auction will take place a week later on September 16th, 2018 from 1:00-3: 00 pm. Don’t miss out on this once in a lifetime opportunity! To register for the auction, schedule a private tour or have any questions or simply want more information, contact Noemi today at 845-494-5015 (cell) or via email at noemi@noemimorales.com.